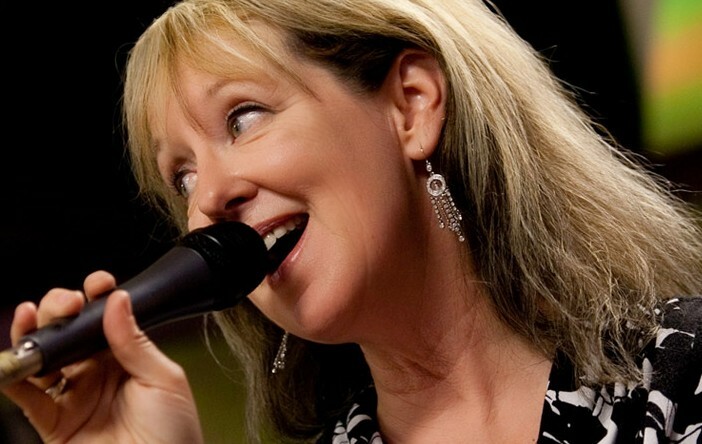 Vocalist Karen Marguth was born in Minneapolis, raised in Livermore, and now lives in and works out of Fresno. Karen's background includes all things theatrical: choreography, directing and performing in regional theater and touring shows, voice-over, teaching, and even a weekly radio program (“The Vocal Hour,” on Friday afternoons on KFSR). But with Karen it's mostly singing—all kinds of singing: rock, blues, folk, R&B, and jazz. And she is graced with a voice to do it all. Karen is especially drawn to a great lyric. She's a master storyteller, with a voice clear as a bell, they say. Her latest recording, "A Way with Words", honors one of the great contemporary songwriters, Carroll Coates. Luxury Item "The KCSM jazz library"